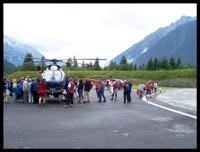 2005 edition of open-door day at Jean-Jacques Mollaret rescue base of Chamonix took place on a rainy June 25. 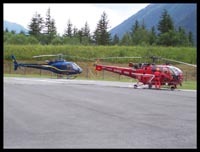 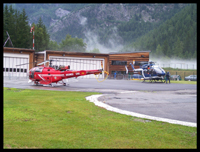 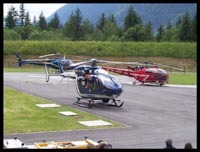 F-ZBDI Securite Civile's Alouette III, F-MJBA Gendarmerie's EC145 and Chamonix-Mont-Blanc Hélicopteres' AS350B3 were present. 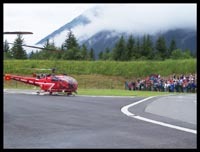 Here are the pictures taken by Pierre FOURQUET during that humid day.